When I set off for Croatia for the recent annual meeting of the International Commission for the Conservation of Atlantic Tunas (ICCAT), I was hopeful that fisheries managers in the Atlantic Ocean region would act decisively to improve the sustainability of their tropical tuna fisheries. Unfortunately, despite eight days of intense negotiations, my hopes — and the appeals of many of our colleagues and stakeholders — were not realized. At the outset of the ICCAT meeting, ISSF was especially concerned with the fate of measures for bigeye and yellowfin tuna stocks. 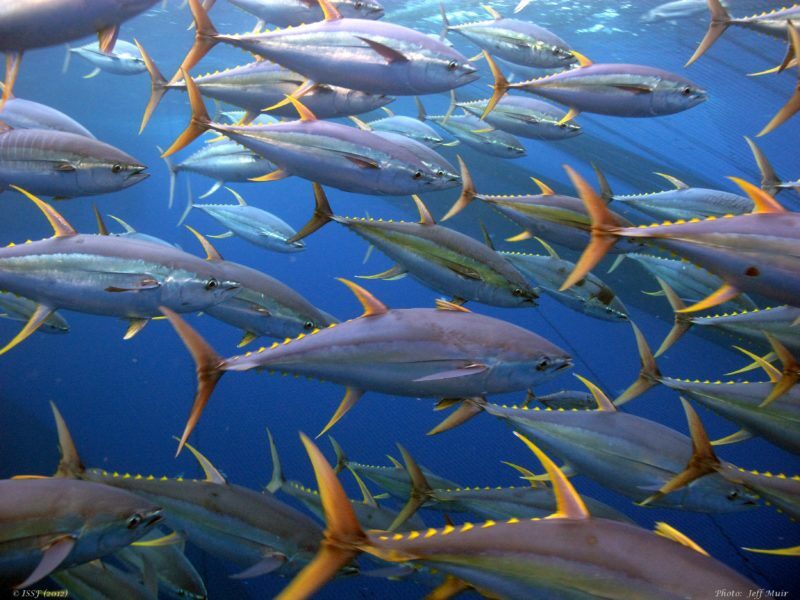 That’s because data show that the region’s bigeye tuna stock is overfished and subject to overfishing and that yellowfin tuna may be experiencing overfishing as well. But fisheries managers in the ICCAT region failed to reach an agreement on stronger tuna conservation measures; they opted to continue with the existing measures for tropical tunas for another year. We are disappointed that no science-based tuna management recommendations were approved, and we are especially concerned that no progress was made to strengthen FAD management. With about 50 percent of the Atlantic’s tropical tuna caught using FADs, improving how managers regulate FAD use is essential to the long-term viability of the region’s fisheries. Better FAD management can help end bigeye and yellowfin overfishing in the region. A scarcity of data is hurting the Commission’s efforts to better manage FADs. Although ICCAT requires FAD data submission for scientific use, only a handful of the region’s fishing nations are complying — thus hindering stock and broader fisheries analyses by ICCAT scientists. ISSF’s appeals to ICCAT to improve implementation of this critical reporting requirement went unanswered. With no progress on tuna management or FADs, overfishing of bigeye — and likely yellowfin — tuna stocks will continue. The stocks will likely be in worse shape next year, and the negotiation of appropriate conservation measures will become even more difficult than it was this year. One bright spot at this year’s ICCAT meeting was progress made to fight illegal, unregulated and unreported (IUU) fishing activities. First, ICCAT modernized its vessel monitoring systems (VMS) requirement, specifically, so that the collection and transmission of data occurs at least every hour for purse seine vessels and at least every two hours for other vessel types (the previous measure required a four-hour frequency). This has been one of ISSF’s long-standing best-practice asks of ICCAT. ICCAT also adopted needed improvements to its IUU vessel listing measure by, for example, allowing the cross listing of vessels listed by non-tuna RFMOs (like carrier vessels) and removing the measure’s previous limitation to fishing vessels of 12m or greater. In addition, ICCAT adopted amendments to its recommendation on port state measures to better align with the FAO Port State Measures Agreement. Together, these actions go a long way in combating IUU activities that threaten the long-term sustainability of tuna resources. A final important accomplishment this year was progress in modernizing the ICCAT Convention text — a great success for the Commission. These amendments will strengthen ICCAT’s mandate and tools to sustainably manage not only the tuna resources of the Atlantic, but also sharks and the broader marine ecosystem. And they will help ICCAT combat IUU activities and implement the precautionary approach to fisheries management. I hope you will join our efforts to demand progress for Atlantic Ocean tuna fisheries. More work is obviously needed to urge precautionary and science-based action at ICCAT. ISSF will continue to work cooperatively with our diverse, multi-sector stakeholders to ensure the enduring health of tunas and ecosystems of the Atlantic Ocean.